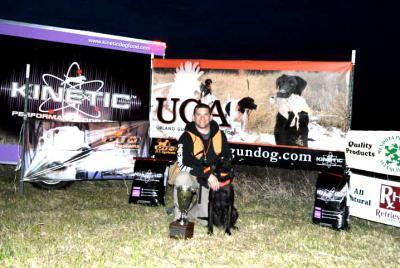 On Saturday April 26th, 2014, we ran in the Upland Gundog Associations 2014 National Championships in Grinnell, Iowa. KC turned 3 years old just a few days prior to competing in this event, and what a birthday present! KC finished her final run and locked in her National Title in the Flushing Division! We are so very proud of our girl, such a fantastic dog and member of our family.